Allied Electronics, Inc., has provided major oil companies with new technology for service station automation for the past 31 years, as well as interface solutions for forecourt controllers for the retail petroleum industry. Allied manufacturers the ANDI forecourt controller, a device used to control fuel dispensers, card readers, cash acceptors, car wash controllers, tank gauges, price signs, credit networks, and much more. Allied also manufactures the NeXGen, the next generation of forecourt controllers, and supports the Helix PIC, a free-standing payment island cashier. For over 20 years, Kalibrate has advised fuel and convenience retailers worldwide on how to be best-in-class operators in fast changing markets. Kalibrate provides strategic expertise and technology solutions in fuel pricing. location analysis, retail network planning and global market intelligence. These solutions are used in over 70 countries with hundreds of clients of all sizes, including oil companies, convenience stores and supermarkets. 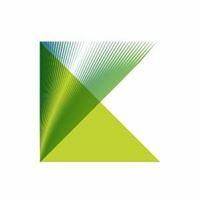 Kalibrate is headquartered in Manchester, United Kingdom with support operations in Cleveland, Ohio; Florham Park, New Jersey; Tulsa, Oklahoma; Mumbai, India; Durban, South Africa; Melbourne, Australia; Shanghai, China; Tokyo, Japan; and Rio de Janeiro, Brazil. Skyline Products was founded in 1970 and we have since grown into a 255-person organization, including 49 engineers (22 software), that produce software solutions and thousands of American-made gas price and transportation signs annually. In 2004, we launched PriceAdvantage to address the challenges the retail-fuel industry faces every day in determining and implementing the right retail-fuel price. Throughout the years, Wayne also acquired and partnered with several successful companies to bring our customers more integrated, ground-breaking solutions. After a merger with Dresser Industries in 1968, we were poised to meet the massive market need for fuel dispensers in response to the advent of lead-free gasoline. Shortly after, we opened our Austin, Texas world headquarters, where we continue our deeply-rooted legacy through a commitment to ongoing industry leadership and innovation.